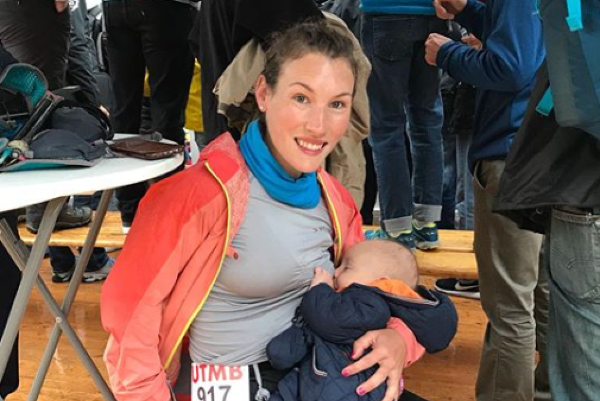 A mother and an athlete stopped halfway through a 103-mile gruelling race to breastfeed her three-month-old son, Cormac. The mum-of-two, Sophie Power didn't anticipated the debate she was about to spark around motherhood, when a photographer asked permission to take a photograph of her feeding the infant. The image quickly grabbed global attention and began a discussion surrounding the expectations society has for mums. 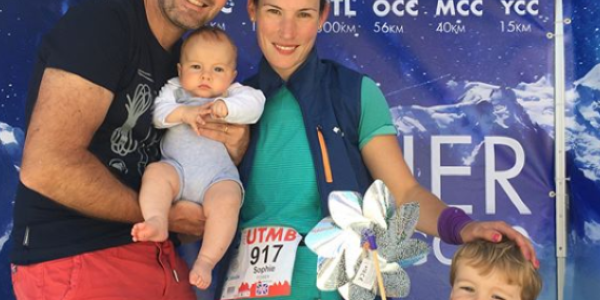 The British runner could only breastfeed when she reached an aid station near the Italian ski resort of Courmayeur, and even hand expressed during the first 16-hours of the race. Sophie half way through the Ultra-Trail du Mont Blanc (UTMB), explained how "relieved" she was when she reached Cormac and he was hungry. The mum was 'in agony' because he usually feeds every three hours. Now back in London, the 36-year-old spoke out about the image and had a powerful message for mothers around the world. “It has highlighted something that women feel really unable to talk about. There is this huge mother’s guilt that all the time you need to be 100 percent focused on your baby, and I’m saying that by not focusing on your own physical and mental health you can’t be the best mother. For me, personally, I need to be physically fit and have those mental breaks. Women really struggle to be open about saying that." “In the picture, I’m just focused on feeding Cormac, pumping the milk. Probably a metre out of shot is my husband, John, trying to convince me to eat an avocado sandwich and going through my pack, changing over my head torch batteries, putting the food in there." The experience of being a mum actually put the 36-year-old at an advantage over the other runners. Like the majority of parents, she was use to performing with a minimal amount of sleep. “I’d gone through the first night with no sleep, as a lot of runners had. But as a mother I was really prepared for that. In terms of sleep deprivation, I was probably the best trained person on the start line. I’d had 20 minutes’ sleep over two nights. But I was taking the race really gently," she said. Sophie completed the race in 43 hours and 33 minutes, but she hadn't always been a runner. She started from scratch in 2009, and to earn her spot in UTMB, Sophie needed to rack up points by running other ultras. In 2015, Sophie had to pass up her chance to run in the race as she was pregnant, so in 2018 she wanted to grab the opportunity with two hands. In the midst of the toughest stages of the race, Donnacha was on hand to help his mum through, although he was a little bit too enthusiastic. “I had to tell him to slow down, he was too fast, my legs were too tired. I picked up Cormac about 50 metres from the finish and crossed the line with both of them,” she explained. Despite some backlash on Twitter, the mum-of-two felt that the moment reaffirmed to mothers that their role doesn't define who they are.